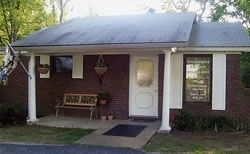 Arkadelphia Pet Care in Arkadelphia, Arkansas is a full-service companion animal hospital. It is our commitment to provide quality veterinary care throughout the life of your pet. Our facilities and services are designed to assist in routine preventative care for young and healthy pets, early detection and treatment of disease as your pet ages, and complete medical care as necessary during his or her lifetime. We understand the special role your pet plays in your family and are dedicated to becoming your partner in your pet's healthcare. We treat your pet as we would our own. Our goal is to be an important part of the community through the healthcare we provide for family pets. We believe these important family members contribute significantly to our daily lives and family. We hope to help our patients thrive through owner education, preventative medicine, and compassionate medical and surgical treatment. At this site, you will find information about our practice philosophy, our services, helpful forms to assist you, and extensive Pet Information Library for you to search for additional pet healthcare information. At Arkadelphia Pet Care, we treat your pets like the valued family members they are. "Dr Coleman and staff are wonderful. They are very caring and wonderful with your pet. So glad we started going there. We have a small pack of dogs, they are treated like each one is one of their dogs. Would recommend this office very much."